Reputation tarnished, Saul Alvarez (47-1-1, 33 KO) again finds himself on HBO Pay-Per-View as he faces Liam Smith (23-0-1, 13 KO). It is actually quite confusing, to be honest, as pay-per-view is both punishment and reward. Even leading man Gennady Golovkin is gifted dates on regular HBO for his less anticipated matches, where he is a showcase for a larger audience. Alvarez, on the other hand, appears on pay-per-view against an opponent that is wholly disregarded by American boxing audiences which are expected to boycott and illegally stream the telecast in groves. Smith-Alvarez has flopped before it began. As usual, Alvarez has selected an opponent over whom he has a natural size advantage. Everyone from Liam Smith to Conor McGregor has accused Alvarez of being a cherrypicker who avoided Gennady Golovkin after invoking Mexican nationalism as an advertisement of his bravado when he insinuated the he would fight Golovkin because “Mexicans [do not] f*ck around.” Alvarez is now despised by Mexican boxing fans. The wrap on Alvarez is that he is a stocky middleweight with a short reach, slow feet, and quick hands. This makes him a counter-puncher by nature. With his low work rate and questionable endurance, he seemingly will never take advantage of his stocky build by being a pressure fighter. In closing, Golden Boy Promotions has selected another opponent for Alvarez who lacks power and size. The airing is set to do dismal numbers and airs Saturday, September 17, 2016 at 9PM US Eastern on HBO Pay-Per-View and 2AM in the UK on BoxNation. 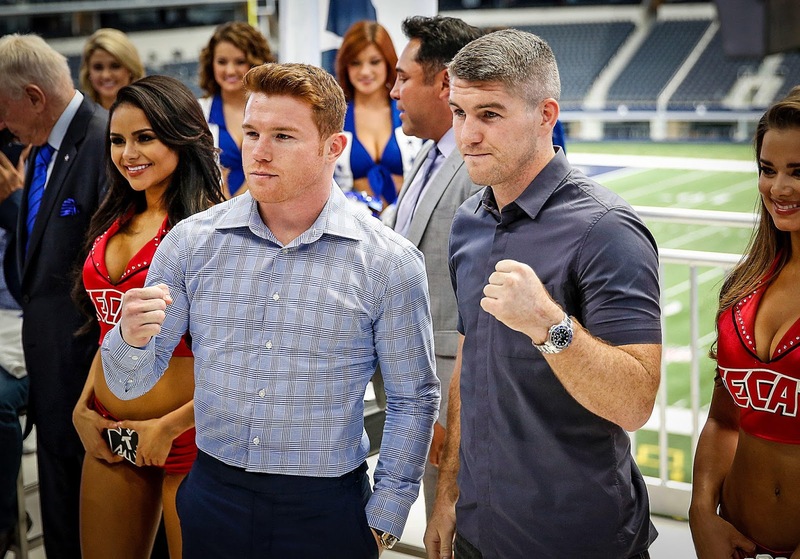 Preview and predictions ahead of Saul Alvarez and Liam Smith's boxing bout at the AT&T Stadium in Dallas, TX, on Saturday 17 September 2016.